Kylian Mbappe has told Monaco he wants to move to Real Madrid, according to reports from Spain. 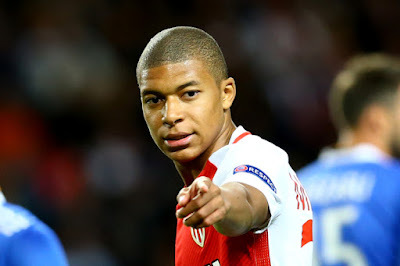 The young star, Kylian has been linked to many clubs around Europe including Arsenal and Liverpool but the French international has his heart set on Bernabeu and the doubts over Cristiano Ronaldo’s future could help accelerate the move. Ronaldo, unhappy at Madrid because of the lack of support for him towards his battles with the Spanish tax authorities, could yet leave Real Madrid with Manchester United and Paris Saint German interested in signing the 4 times Ballon d’or winner with a world record signing close to 350 million Euros. Meanwhile, Mbappe’s signing to Real Madrid is aided by the re-election of Florentino Perez as club President at Madrid. Perez, who has always been a fan of the French striker, had just won the elections for the third consecutive time and would be in role for the next 4 years. Perez, who has been known for his great signings could make a great statement in the transfer market for Europe’s hottest, Kylian Mbappe.